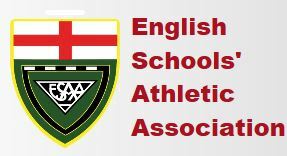 Established in 1925, the English Schools’ Athletic Association is dedicated to promoting the enjoyment of athletics in schools. Schools compete in both Cross Country and Track & Field through a schools cup and there is a national Championships where atheltes can represent their County. To qualify for the Track & Field English Schools Championships you need to firstly meet the English Schools (ES) standard in your event and then be selected by your County (ofeten this is achieved through the Oxfordshire Schools Championship).